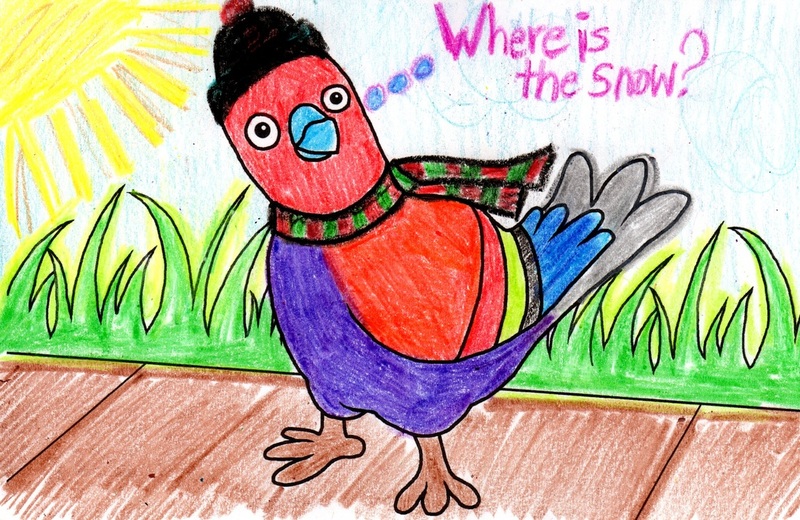 The discombobulated pigeon made his debut in Yorkton, Saskatchewan, at the end of November, braving extreme temperatures and icy winds to travel to St. Andrew's Church and participate in the 2014 Contemporary Showcase. 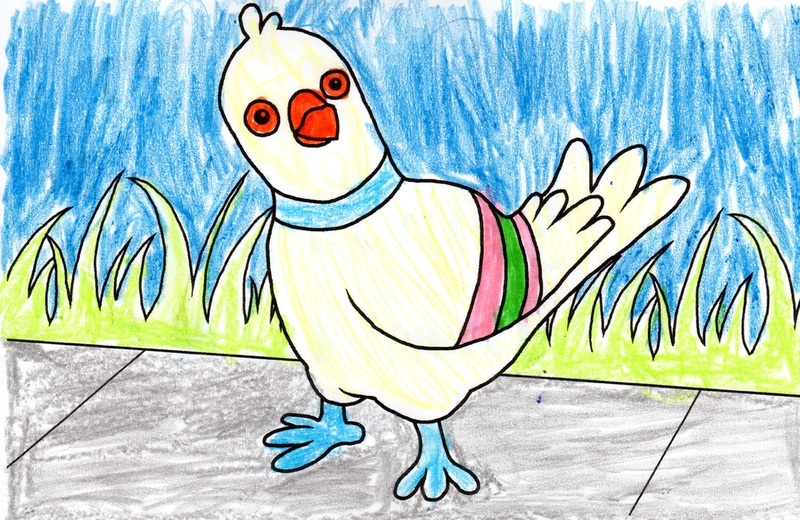 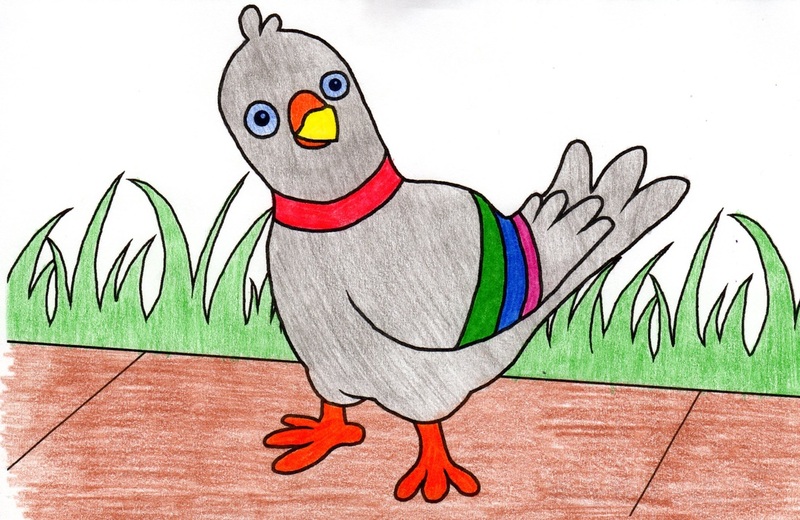 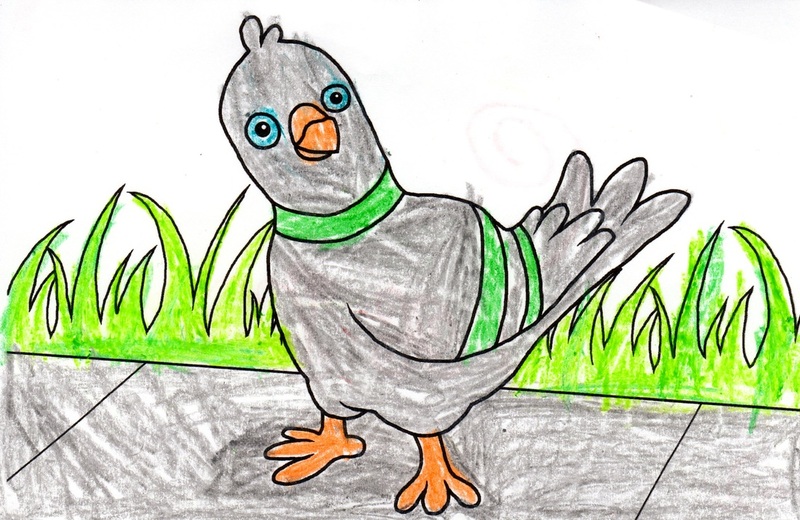 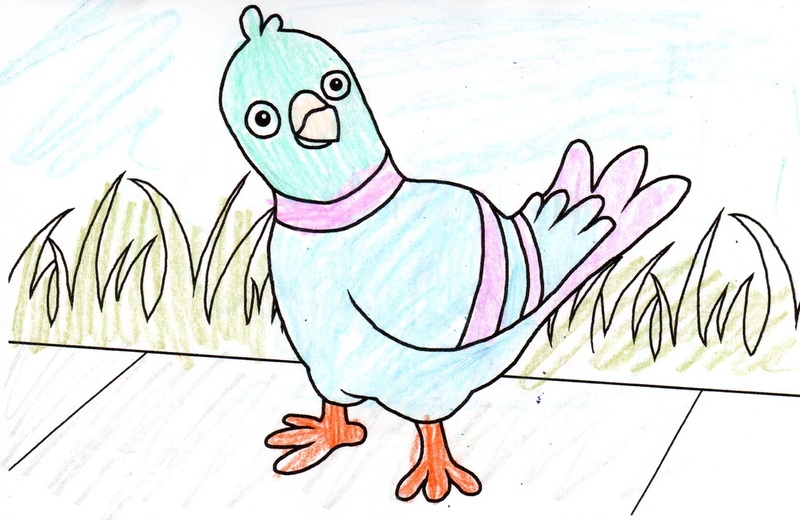 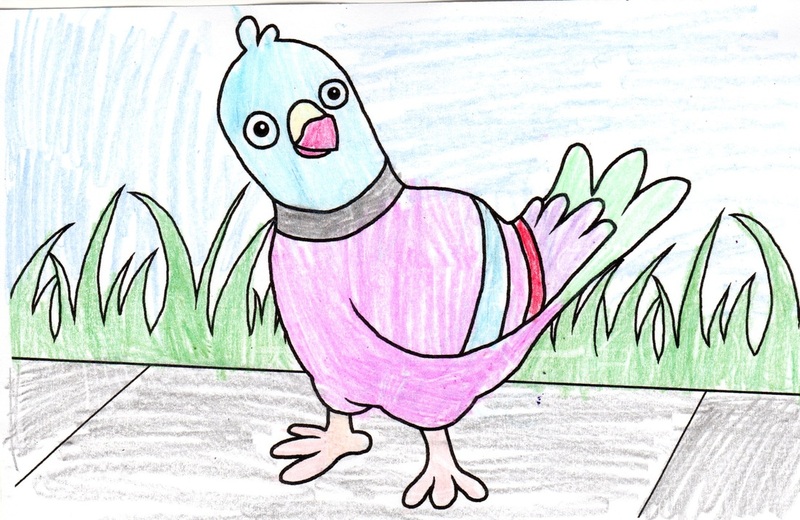 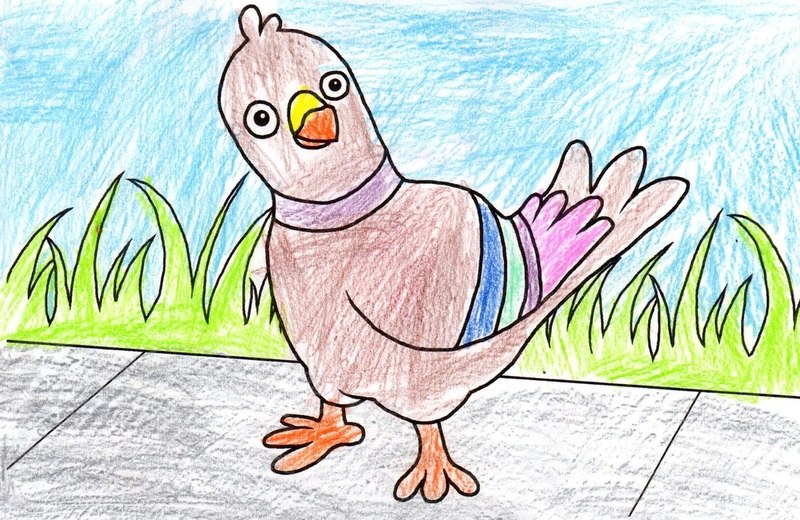 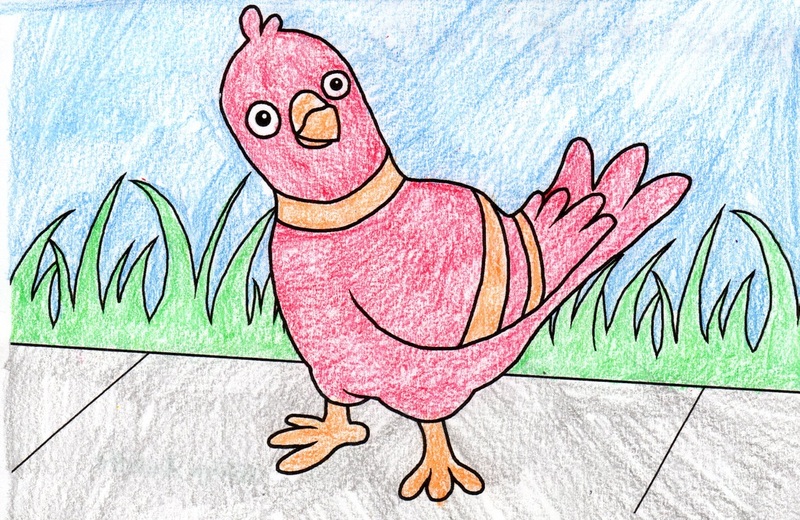 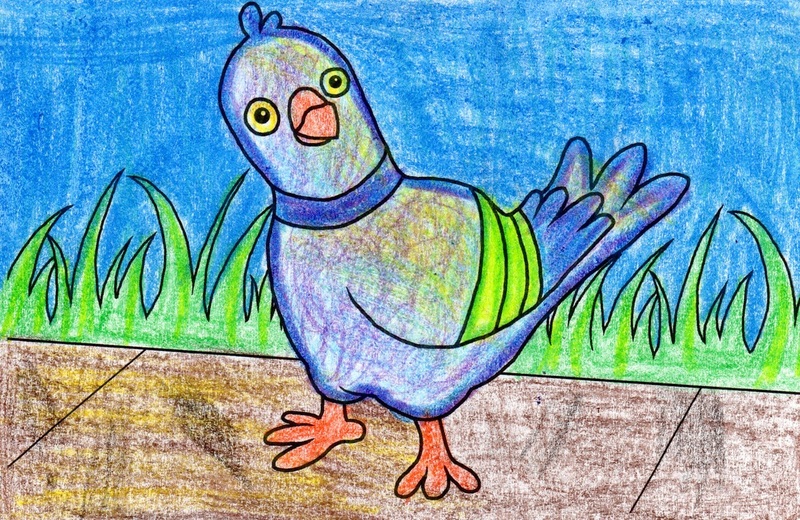 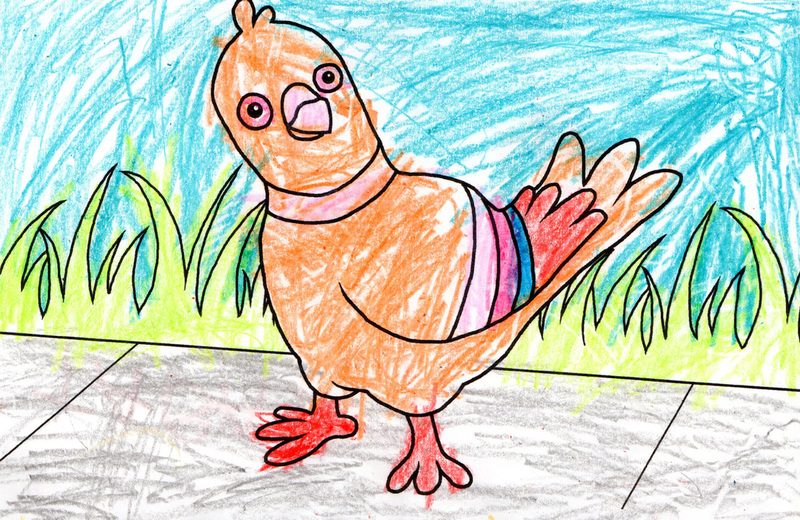 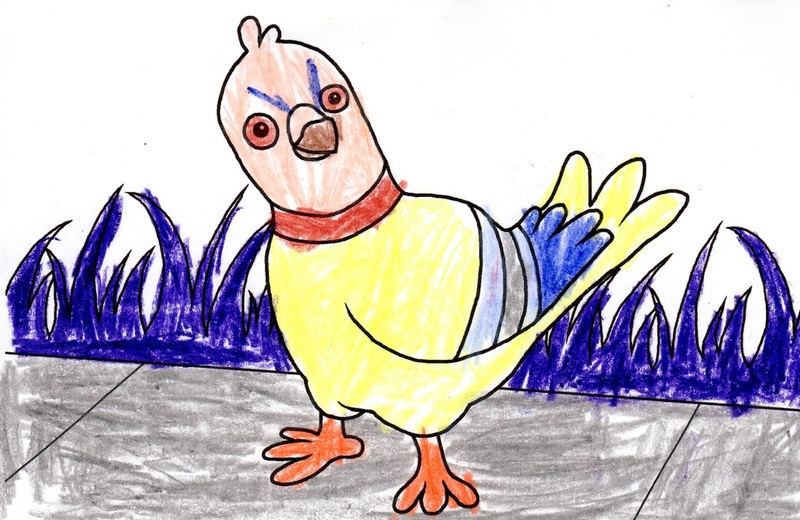 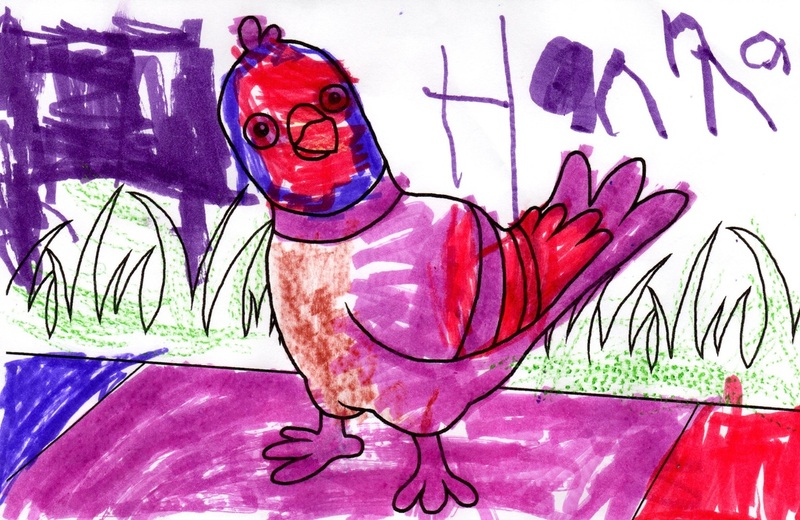 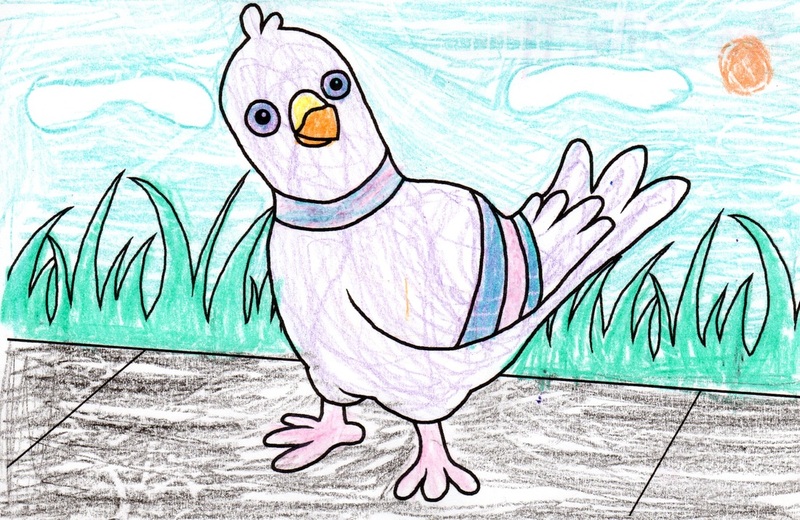 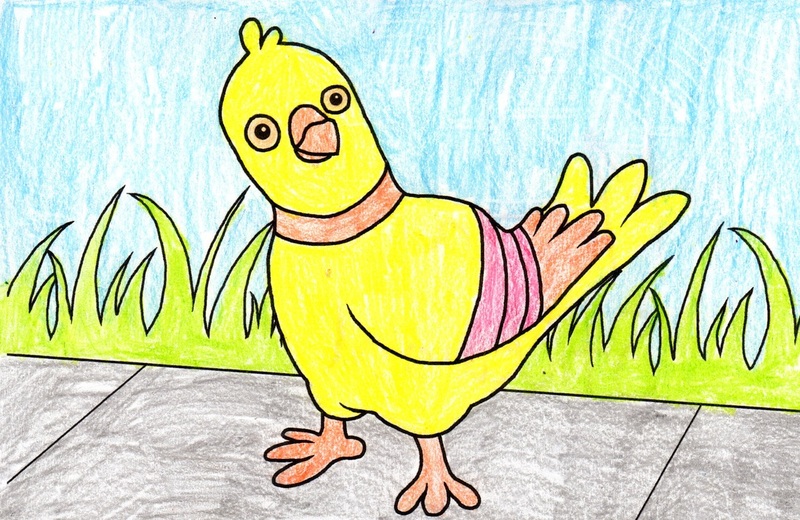 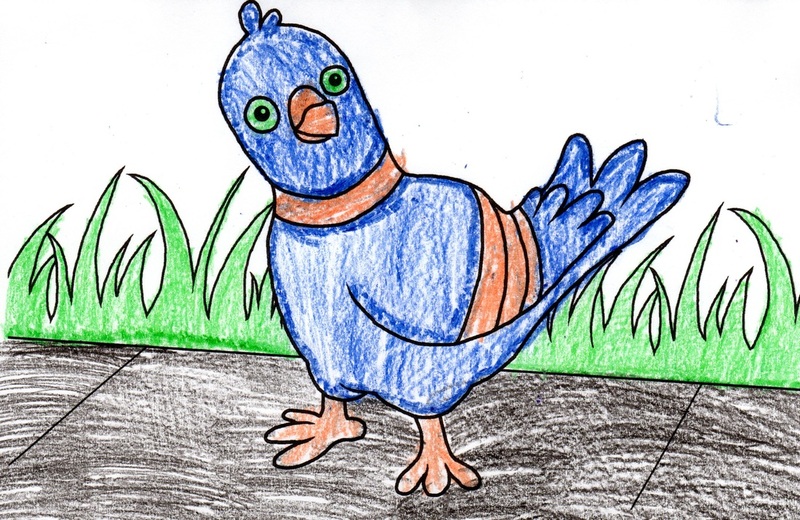 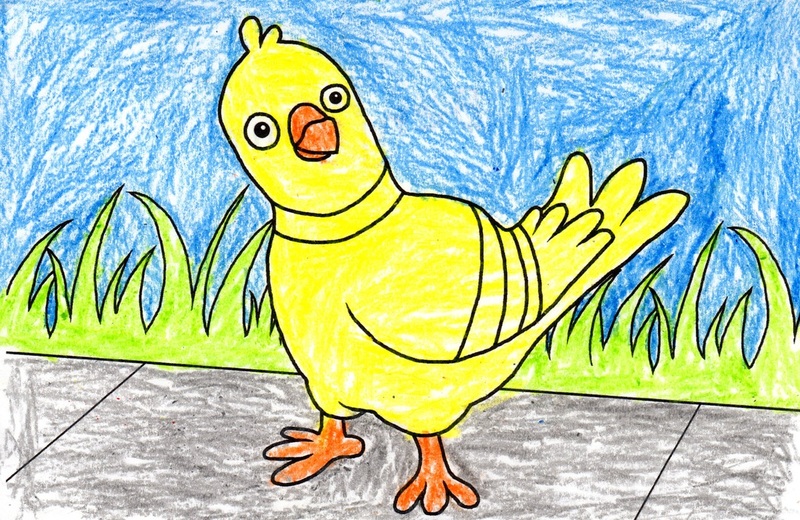 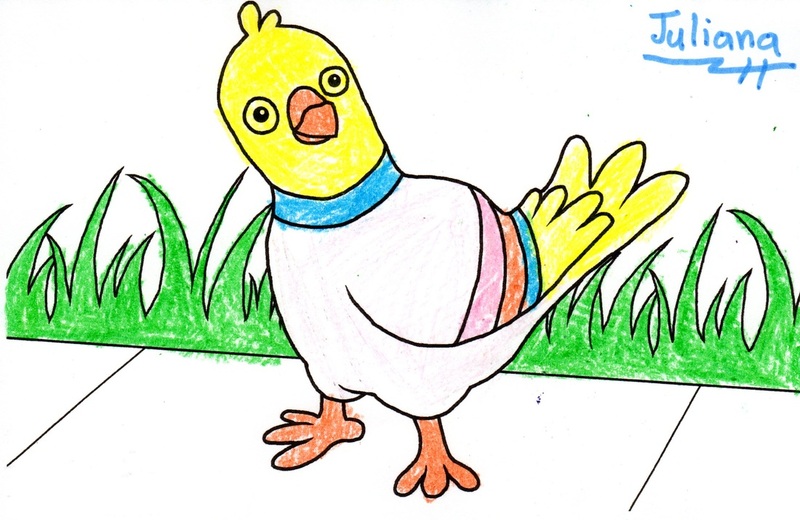 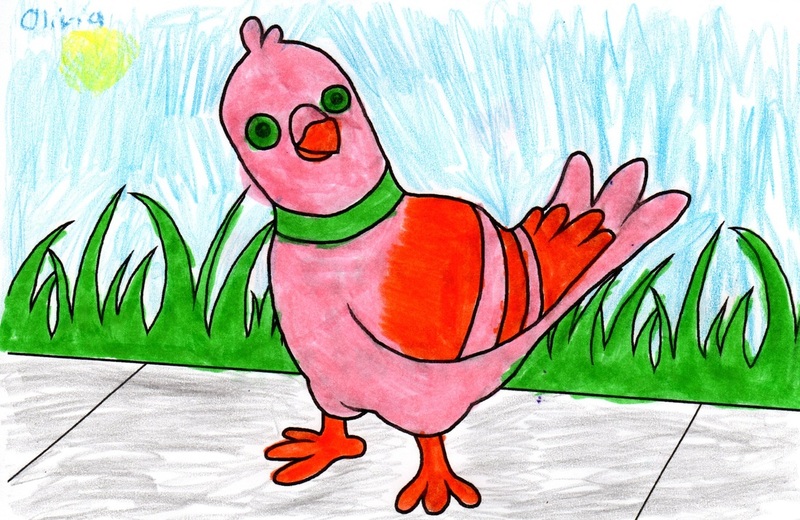 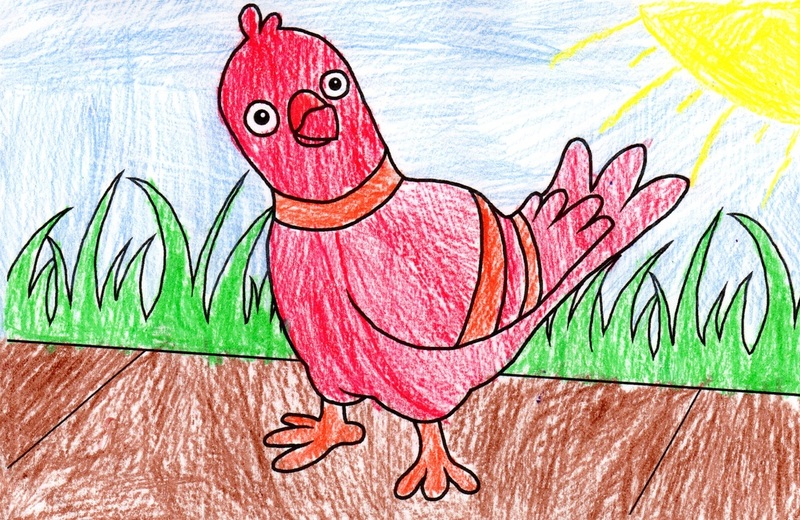 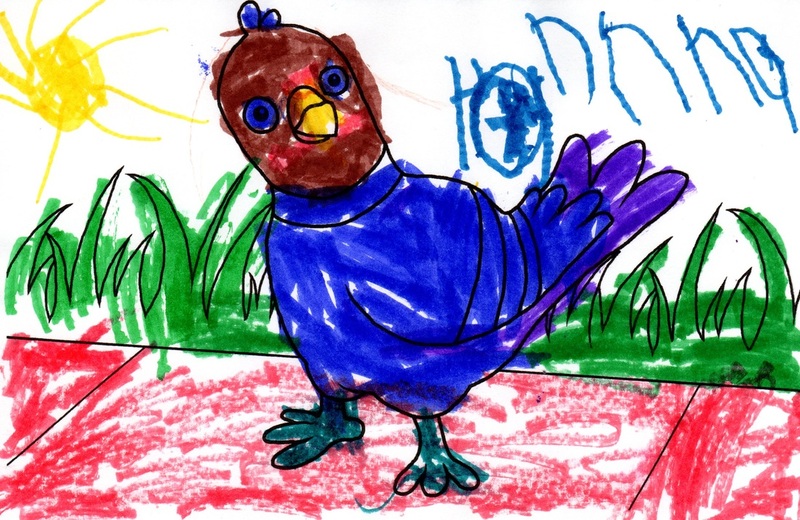 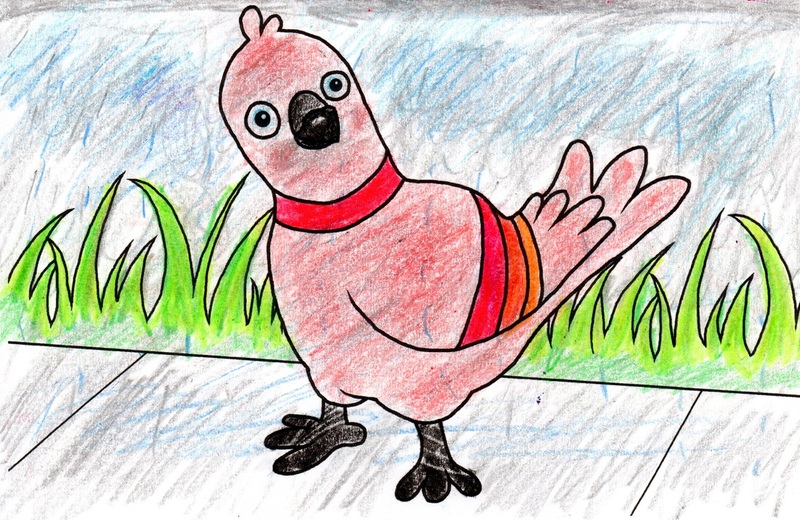 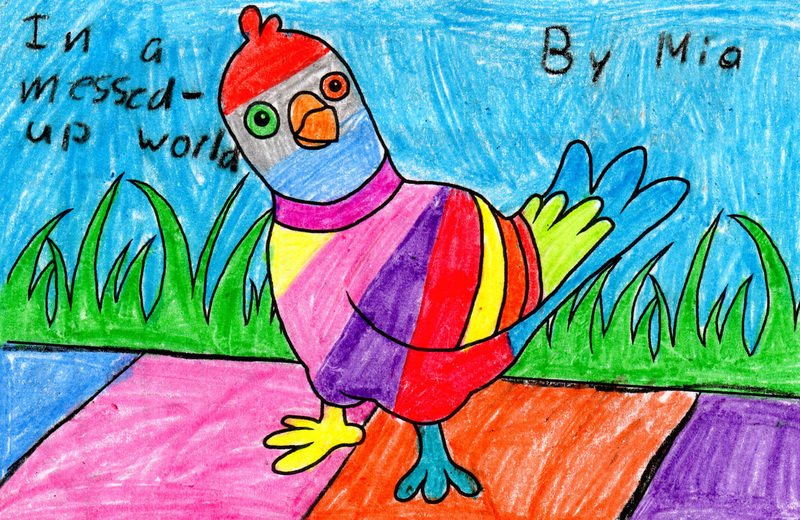 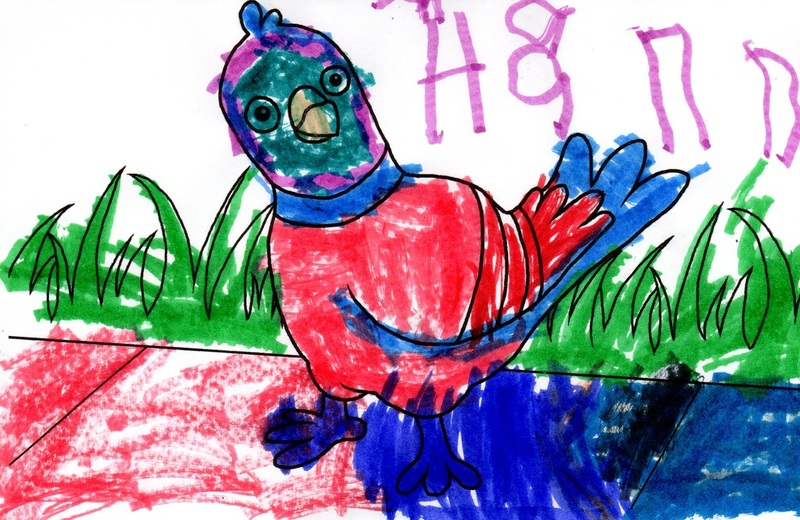 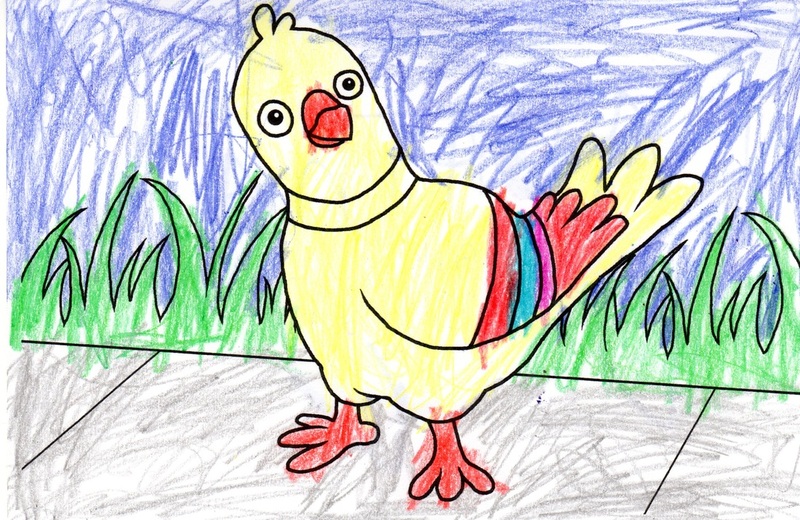 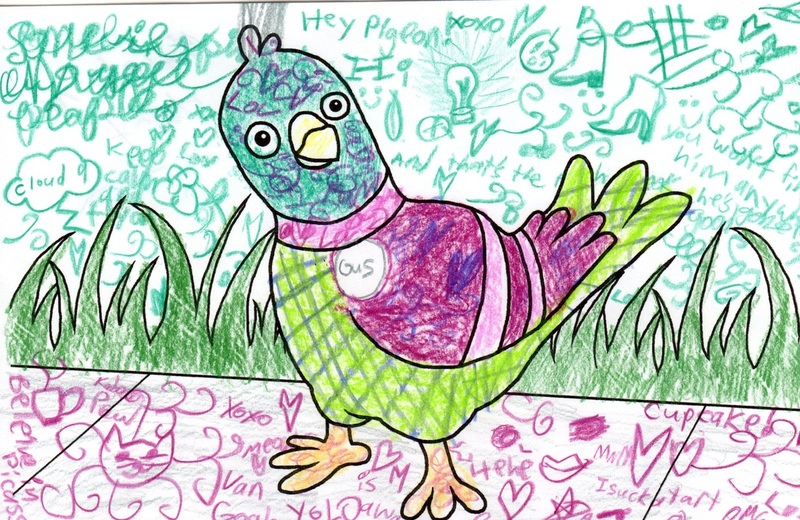 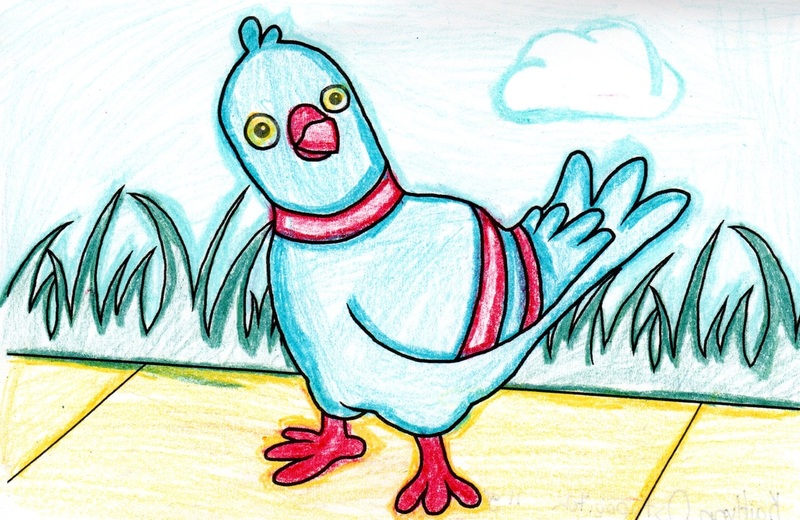 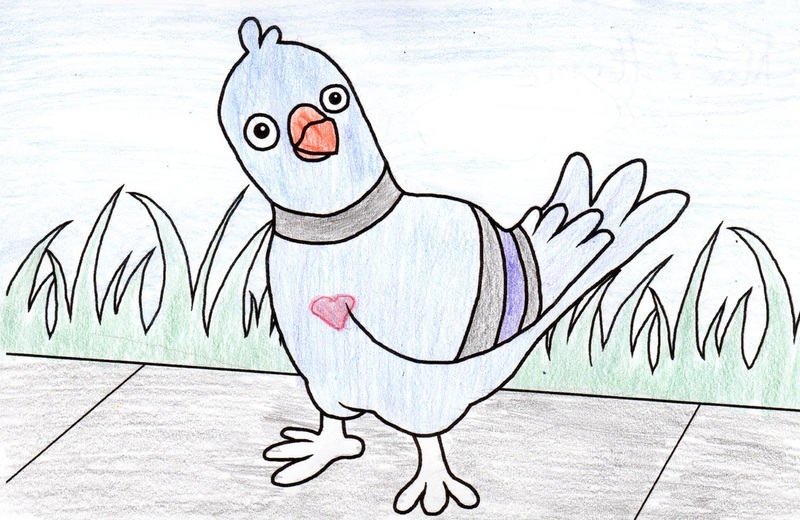 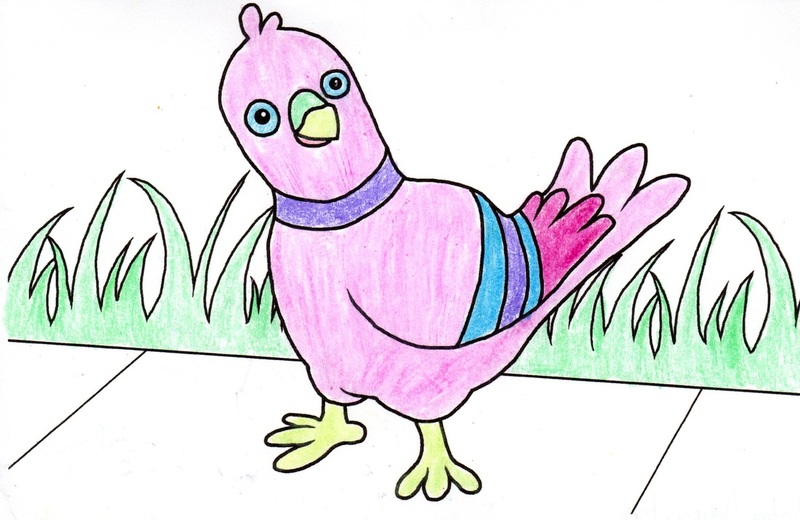 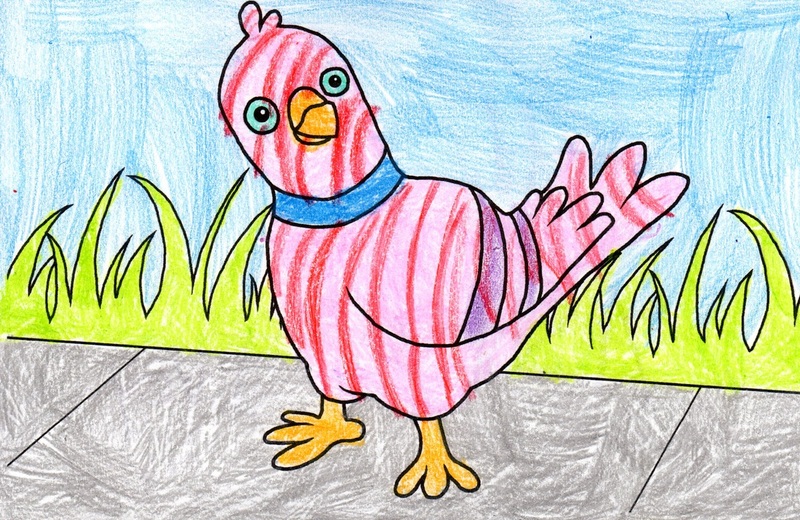 Check out these colourful pictures of the befuddled but lovable bird, submitted by students and audience members. 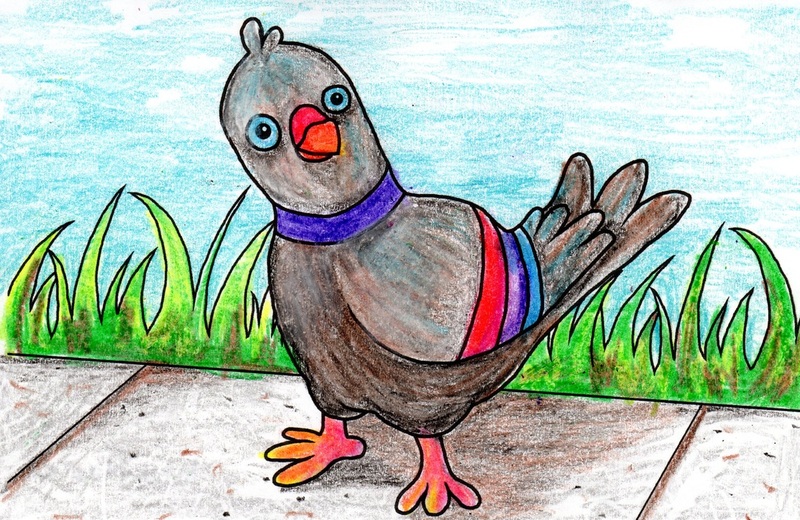 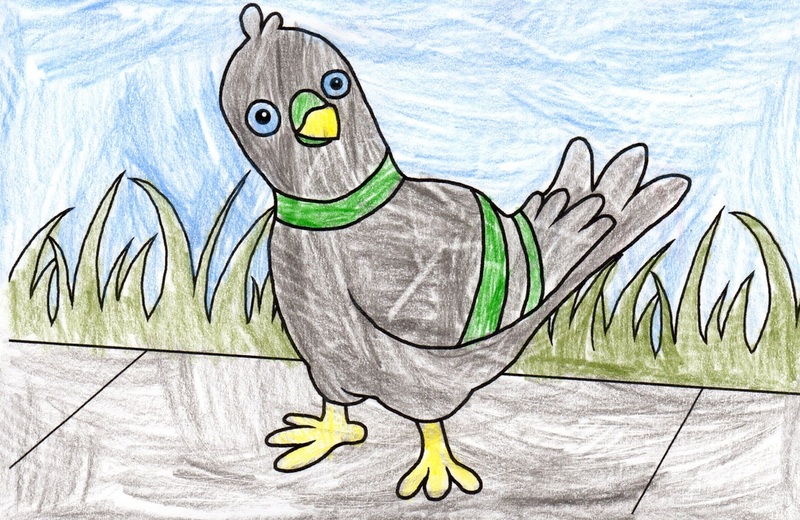 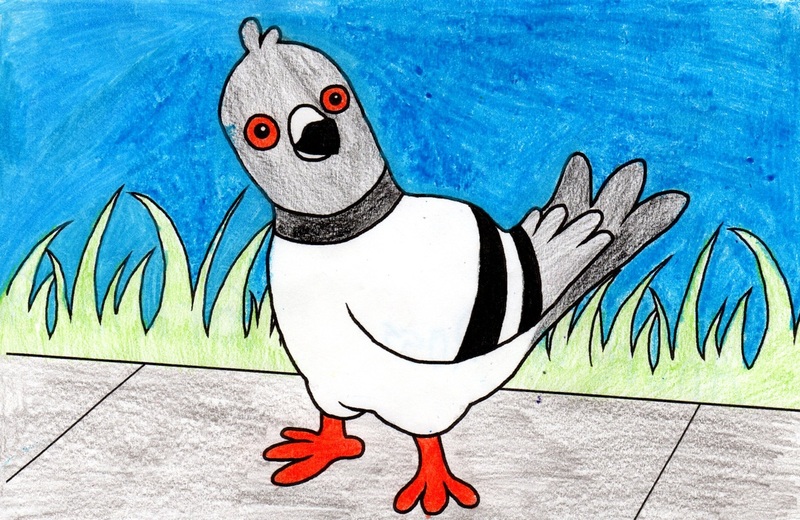 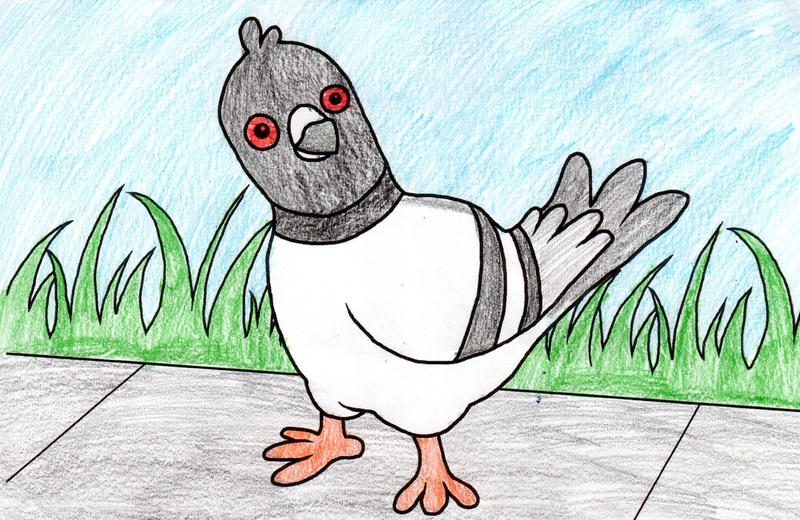 The pigeon may be feeling confused, but he is looking fabulous! 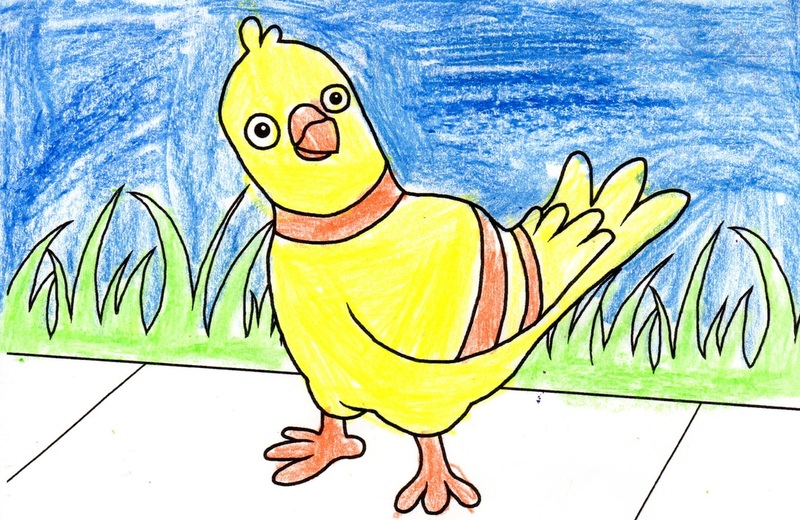 Original illustration by Quin Sawatsky.